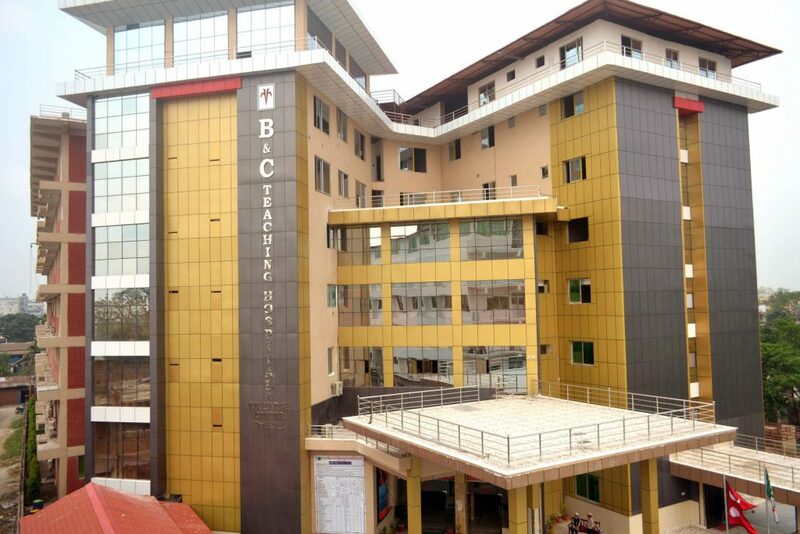 B & C Teaching Hospital, situated in the eastern part of Nepal is a multi-specialty 300 bedded hospital that offers preventive and curative health care services. It was established on 2071/11/18 BS with the slogan of commitment for education, health and employment. B & C Teaching Hospital is committed to provide high quality medical services with affordable cost and medical care to each and every citizen. We provide affordable medicine to patients in a friendly environment and with a spirit of compassion. We have highly skilled and qualified staffs and medical representatives who are fully dedicated to provide high quality of medical services. B & C Teaching Hospital has best team of medical personnel with state of the art equipment to provide the wide range of medical, surgical, pathological and diagnostic services. At last but not least we are one of the best reliable health service providers in the country and targeted to stand far from the general crowd of health providers.